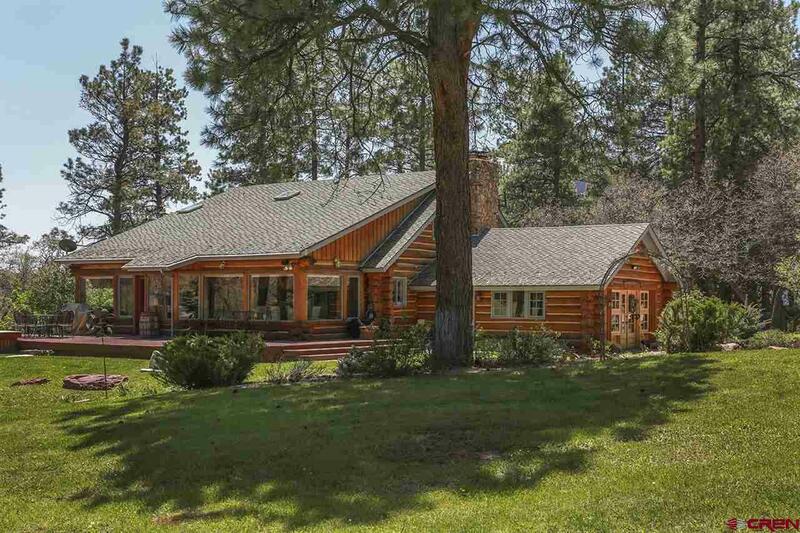 Incredible natural beauty surrounds this rustic luxury log cabin. Located 10 Miles from downtown Durango, Falls Creek is a community with 840 acres of open space, a 40 acre lake, tennis courts, stables and miles of trails with access to even more trails in the bordering National Forest. 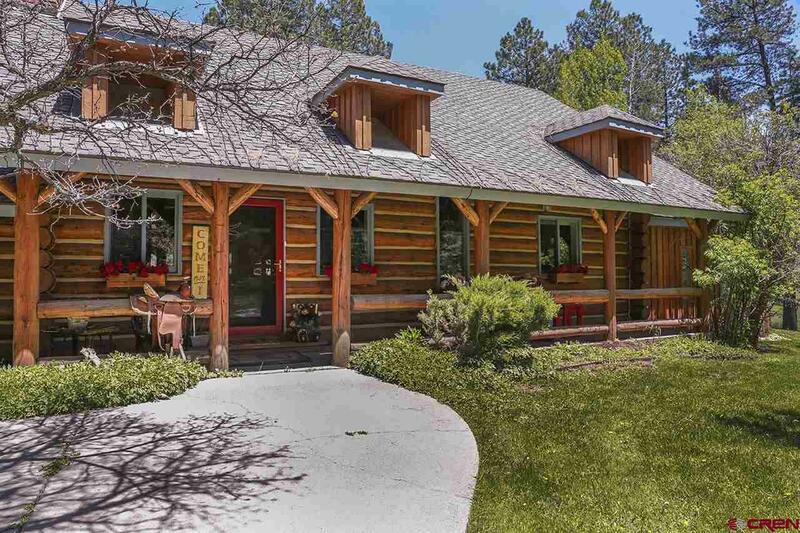 Hunting, fishing, hiking, skiing and all the amenities of Durango are close by. This is not your ordinary cabin in the woods; it is a recreational paradise for the whole family. With over 4,000 square feet, 3 bedrooms, 3 bathrooms, a den, dining room and office, there is plenty of space for all your needs. The great room has a two sided stone gas fireplace that is open to the den on the other side for warmth. 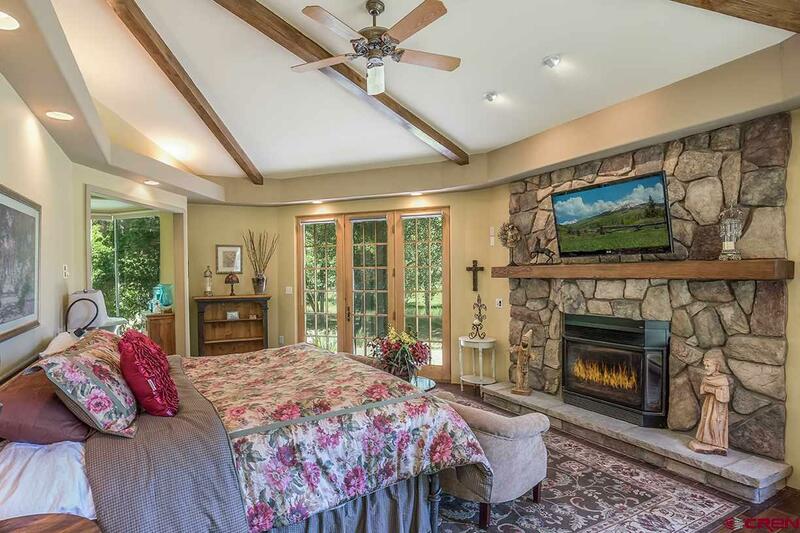 There is also a second fireplace in the master bedroom suite. The den has an old west bar complete with saddle bar stools, and a drop down movie screen. All you need is popcorn! The home is built and decorated right out of the old West. Like the d'cor? The house comes with most furnishings included with a full price offer. The covered veranda is perfect for watching summer thunderstorms roll by and there is a great patio with a large sunken hot tub for entertaining. 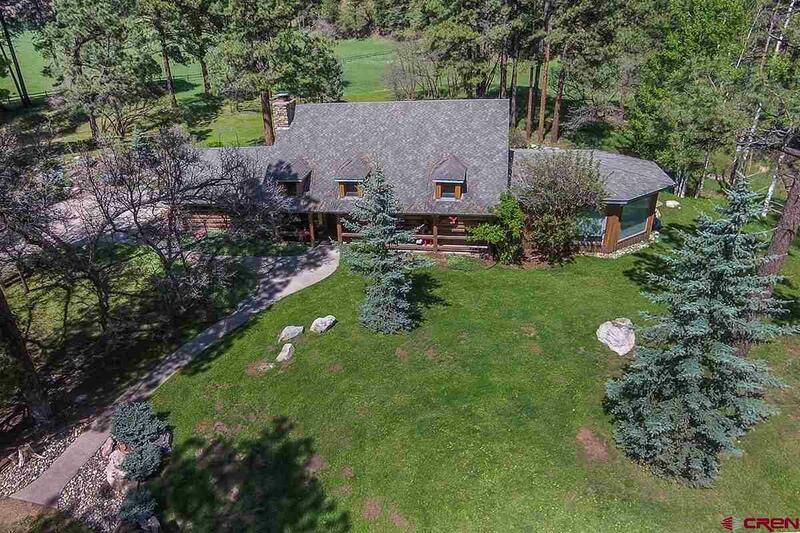 Although the property is surrounded by hundreds of acres of common space, the home sits on one circular acre of towering pines and mature landscape, so there is less maintenance with the luxury of wild open space to enjoy. The subdivision maintains the roads for year round living. The current owners use a caretaker who lives in Falls Creek to keep the house maintained. Notes: in master bath the blinds around the tub are auto on remote, master suite has California closets, and infloor heat by the sinks. Remodeled baths and doors throughout.